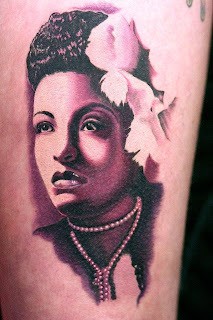 Billie Holiday, as you all may know (and should know!) was an American jazz singer and songwriter. Nicknamed "Lady Day" Holiday had a seminal influence on jazz and pop singing. Errol had the change to do a great piece on regular customer, Lonneke!